The videos created by HEAC’s Youth Ambassadors were screened extensively. The “Where Do I Get My Five?” DVD continues to be used as a teaching tool for health professionals. A news story about how HEAC Youth Ambassador Selma Lozaya helped her mother lose 60 pounds by applying lessons learned in HEAC became an international story. Local media and radio showcased the students and featured them on air. 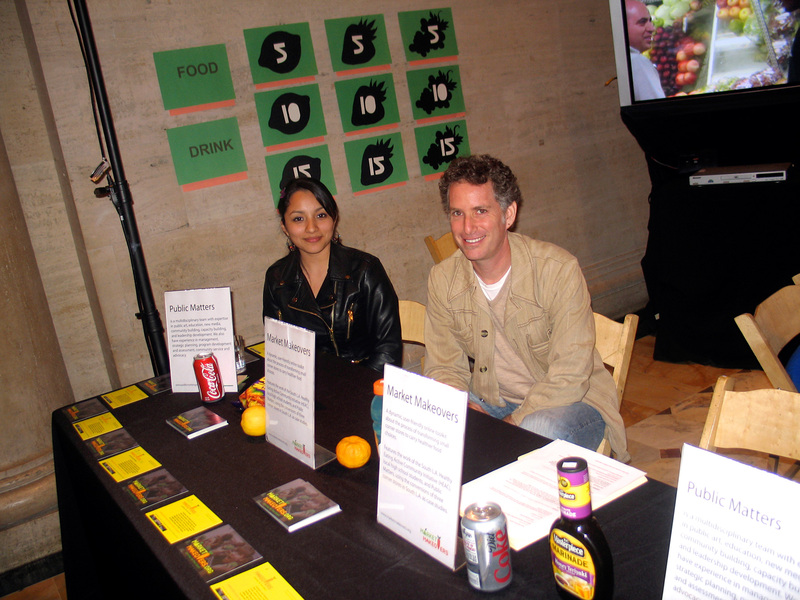 Exhibitions of their work were held locally and in San Francisco as part of “The Gatherers” show at Yerba Buena Center for the Arts. The trip to the Bay Area for a panel accompanying the opening of “The Gatherers” was the first trip to the region for several HEAC Youth. Through HEAC’s network, HEAC Youth also presented their work at state conferences in Sacramento, met with state representatives and participated in youth development conferences. Locally, they spoke to municipal officials and planners. Collectively, these experiences for the HEAC Youth were not simply empowering they were life changing. They opened up networks, let youth know that they had the ability to make a difference, and validated their efforts. For HEAC, they moved all policy efforts forward. A collaborative project between artists Andrea Bowers and Olga Koumoundouros that features Public Matters’ Market Makeovers work with UCLA-USC CPHHD in East Los Angeles and South LA Healthy Eating Active Communities (HEAC) Initiative in South Los Angeles. 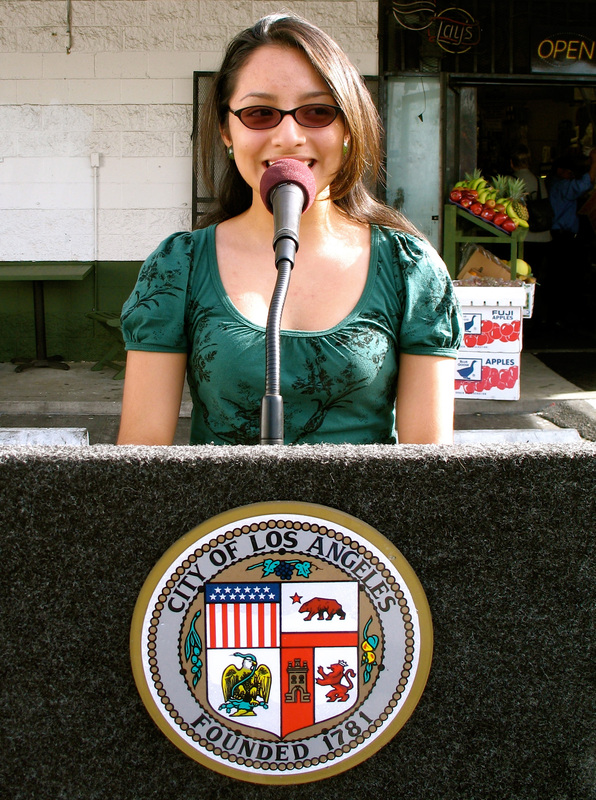 August 2010: Food Rendezvous, SPARC, Venice, CA. The Honorable Councilwoman Jan Perry (CD-9) spoke at the Los Compadres Re-Opening, while South LA HEAC Youth Ambassadors (left to right) Adriana Moreno, Jessica Orellana, Andrea Vazquez, Jonathan Contreras and Britanni Dighero backed her up. 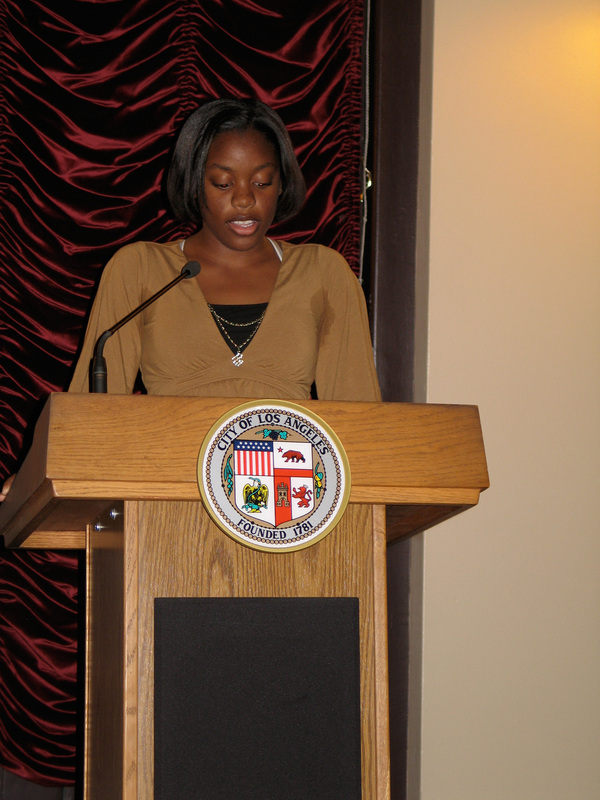 South LA HEAC Youth Ambassadors Cameron McCaa, Janell Smith, Adriana Moreno, HEAC Neighborhood Sector Coordinator Aurora Flores, Youth Magali Bravo and Lae Schmidt had a captive audience for their premiere.